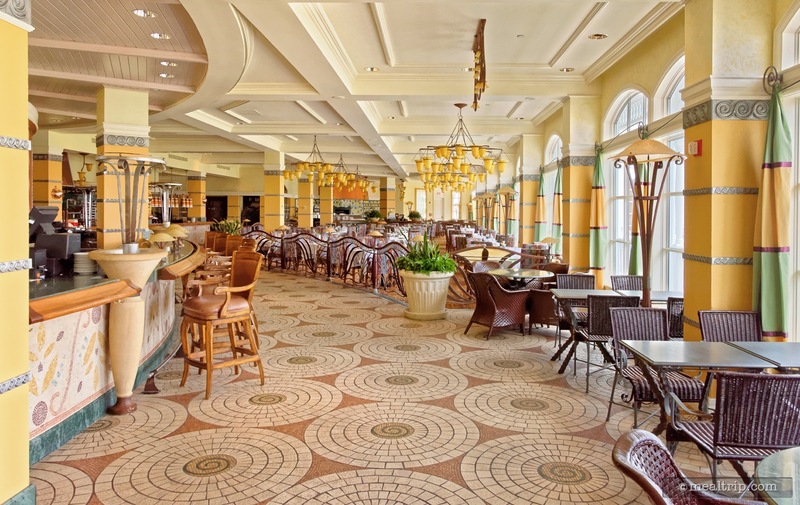 Citricos is considered one of the Grand Floridian’s Signature Dining experiences. From a design standpoint (after the sun goes down anyway), the elegant dining room appears to be... oh heck, it’s always looked like a cross between a businessman's convention hall and a Mediterranean food court to me. Sorry. 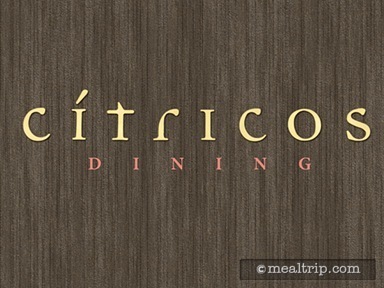 Food-wise though, Citricos offers seasonally fresh, Mediterranean-Inspired American cuisine. The restaurant features a decent wine list and sommeliers are on-hand to make pairing suggestions. The restaurant is only open for dinner, but we’ve seen a few special events, including a brunch take place here, from time to time.